Description: No personal profile can be more stylish than a 3D light gray business card template. Customizing is just as easy as quickly switch between its background color and text fonts. Alternatively, you can drag and drop a photo on it. 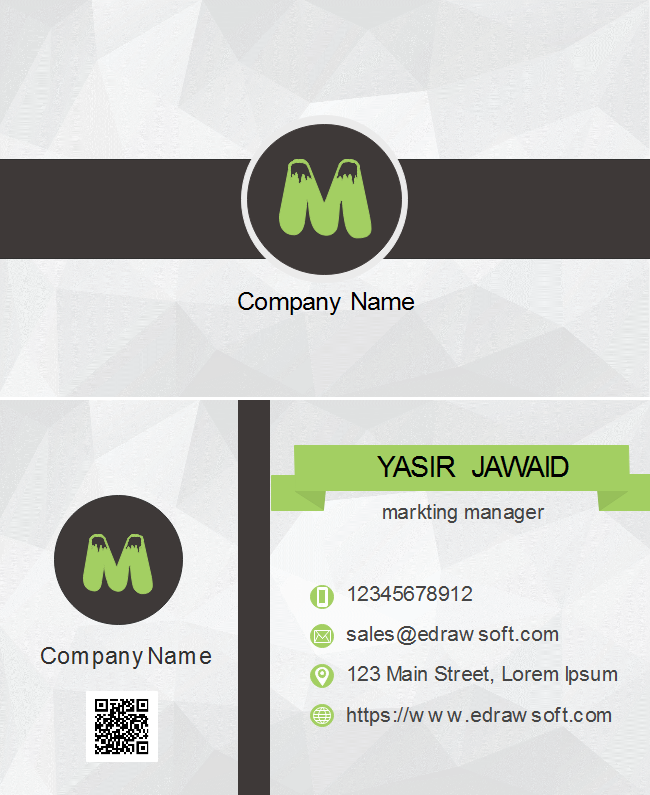 A free customizable business card template is provided to download and print. Quickly get a head-start when creating your own business card.